This is a very tasty way to serve potatoes on. 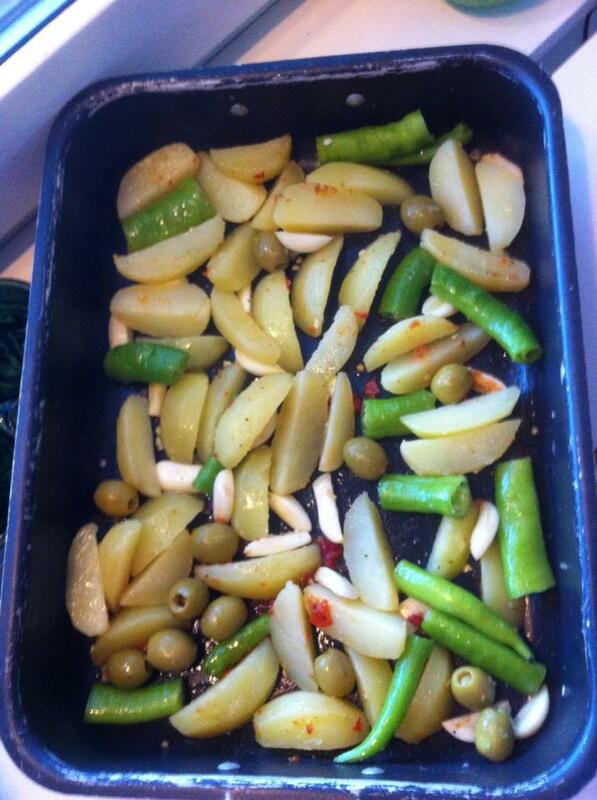 Love to have with olives in the food when you cook it, not only as a side dish. Add everything together in an ovenproof dish. Salt and pepper and drizzle with oil all over it. In the oven 225 c about 30-50 minutes or until they have a nice color. This looks yummy! Thanks for the recipe!